The unsurmountable amounts of unstructured data that organizations have to deal with today has given rise to the need for an effective enterprise search platform. An enterprise search tool helps enterprises analyze and derive insights from organizational data. In other words, it can help an enterprise make informed business decision making and gain the competitive edge. That brings us to an important question: What defines an effective enterprise search tool? To figure out the answer, let us look at a few key features. Scalability is by far one of the most important features of any enterprise software tool and an enterprise search platform is no different. Scalability allows the platform to accommodate increasing number of users and increasing volumes of data seamlessly without the risk of system breakdown or reduced efficiency. This feature is essential to process the millions of records that big organizations have, without affecting the response time to queries. When you are dealing with huge quantities of data, the highest level of data security is a must-have. Enterprise search platforms today make data security a priority and take several measures to implement it. Controlled access is one of the many features you find in new age enterprise search tools, which makes it possible for enterprises to define the access rights to each file/document/data set. Another aspect of data security is prevention of data loss and this is taken care of through backed up distributed and cloud environment. Search results fetched on the basis of a keyword has limitations and semantic search seeks to bridge this gap. When a user enters a search term, semantic search does more than just show up the documents or files that contain the exact search term; instead it “understands” the meaning of the search term and uses it to show up results that are relevant, including the ones that contain synonyms of the search term. It also takes into account the user intent and the context of the query to show up results that are truly relevant. An enterprise search tool is expected to do a lot more than just search data and bring up relevant results – it’s also about helping the enterprise gain actionable insights from the data. Search analytics generated in real time can be of real help in making important business decisions. What is the behavior of your users? What are they really looking for? Search analytics can help you answer these questions and more. Enterprise search solutions today offer flexibility and allow the enterprises to customize the software to meet their search and associated needs through API and SDK. The option to pick and choose certain functionalities and customize the look and feel of the software, not just allow enterprises to create a tailor-made software that’s unique but also reduces the price. To serve the text mining capabilities of the modern enterprise, enterprise search platforms should have built-in text mining features. Data classification, semantic similarity, named entity recognition, sentiment analysis, entity extraction and ontology & LOD mapping are some of the key ones. Today, enterprise search platforms are powered by artificial intelligence technology that makes semantic search possible. Every software or application is designed for the user which makes user experience one of the key features. Enterprise search platforms should have a world-class user interface (UI) which makes it easy and stress-free for the user and paves the way for an incredible user experience. Also, enterprise search platforms allow the flexibility to incorporate changes in the UI if required. 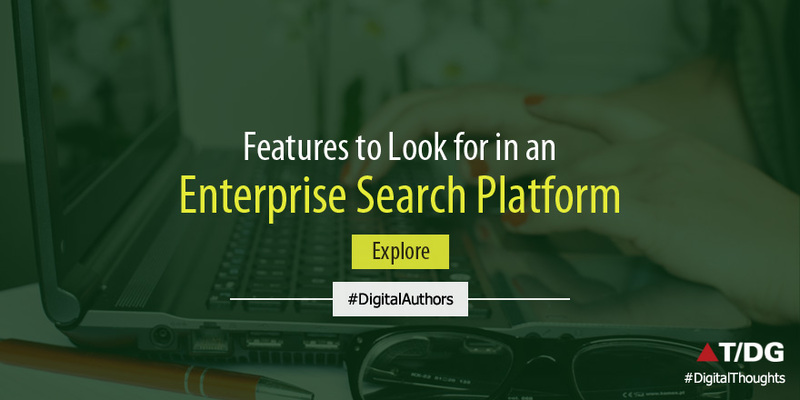 The most widely used new age enterprise search platforms have these features and are designed to meet the search and associated needs of every enterprise, big and small. The Digital Group’s 3RDi Search is an example of one such platform which is a comprehensive suite of products for content discovery, search analytics, search relevancy management and semantic enrichment, among others. 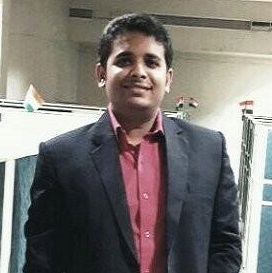 To learn more about The Digital Group’s offering in enterprise search software, visit https://www.3rdisearch.com/ or drop us an email on tdg-marketing@thedigitalgroup.com and we shall get in touch with you.